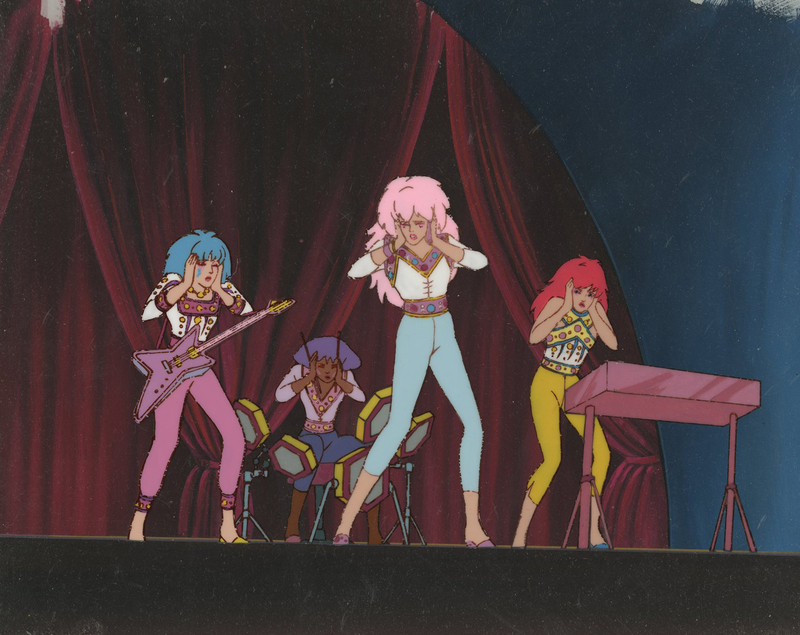 This is an original production cel and background featuring Jem and the Holograms on stage. 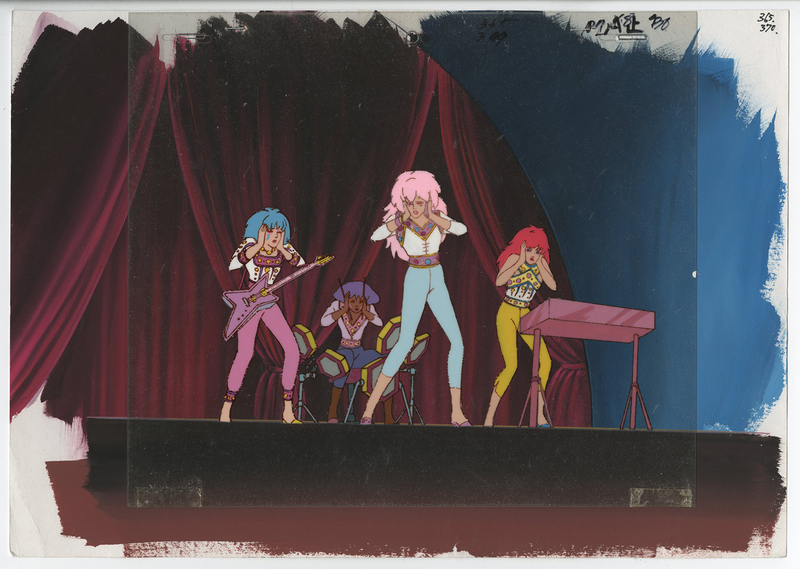 The background measures 10"x 14", the cels measure 9" x 10.5", and the character image measures 5" x 8". Cels are attached to the background and each other from paint, staples along top edge, and tape along bottom edge. 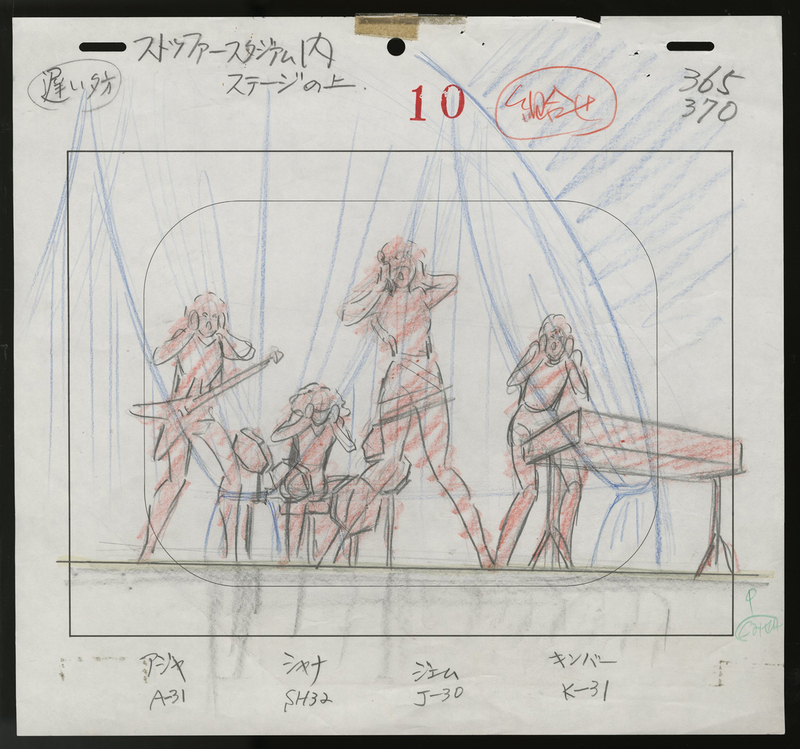 Includes matching layout drawing.